The Kevin Spacey Quartet. No, not a modern jazz combo Mr Spacey has created to pass the time since leaving The Old Vic, but the occasions I have seen him on stage since 1998: The Iceman Cometh, National Anthems, The Philadelphia Story and Clarence Darrow. There was Tim Pigott-Smith, a young Mark Strong, the wonderful Roger Sloman, Robert Pugh, Holly Aird, Rupert Graves, Patrick Godfrey, James Hazeldine and more. An abundance of thespian riches. And to top it all off, although my inability to look into the future prevented me from appreciating it at the time: Clarke Peters, aka Lester Freamon in The Wire! Legend. Clocking in at over four hours, the Almeida Theatre’s production asked a lot of its audience, but the power of director Howard Davies’s story-telling, the intensity of the performances and the emotional punches delivered meant that it never felt like an endurance test. There was a tangible sense in the audience that something special was taking place. Spacey gave an outstanding performance as Hickey, the travelling salesman who descends on a shabby New York bar, shaking up the bums and broads, challenging their pipe-dreams with mesmerising eloquence before revealing the darkness beneath his confident facade. Bleakly funny and ultimately tragic, it was an unforgettable production – and encouraged me to move to London later that year, partly so I could experience such exciting theatre more often! 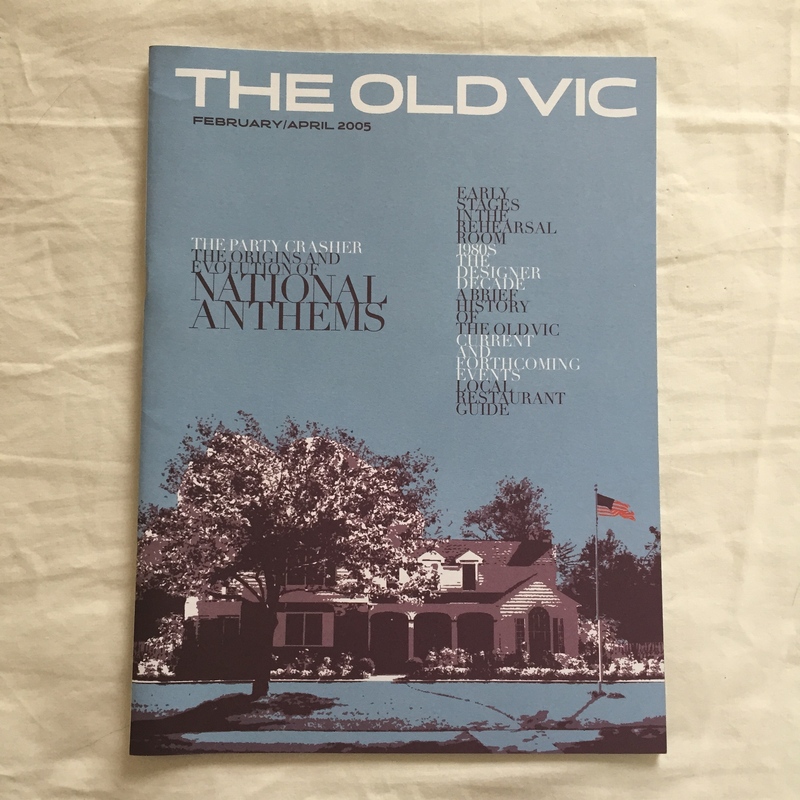 Fast forward to 2005, and Kevin Spacey’s first year as Artistic Director at The Old Vic… National Anthems was a revival of a Dennis McIntyre drama that Spacey first performed in back in the late 80s. Set in the apparently perfect Detroit home of an upwardly mobile couple (played by Mary Stewart Masterson and Steven Weber), the drama unfolds as Spacey, playing an unemployed blue-collar neighbour, drops in uninvited as the yuppies clear up after a party for their equally upwardly mobile peers. The superficially polite talk soon develops into verbal and physical sparring, as divisions on many levels (class, wealth and privilege) become clear. Although all three actors gave good performances (with Spacey’s facial hair deserving a credit of its own), it was ultimately hard to get excited about the play’s theme: challenging the materialism of the American Dream. McIntyre and director, David Grindley, didn’t seem to say anything new about this well-worn subject. The characters lacked nuance and the piece as a whole felt a bit dated and one-note. 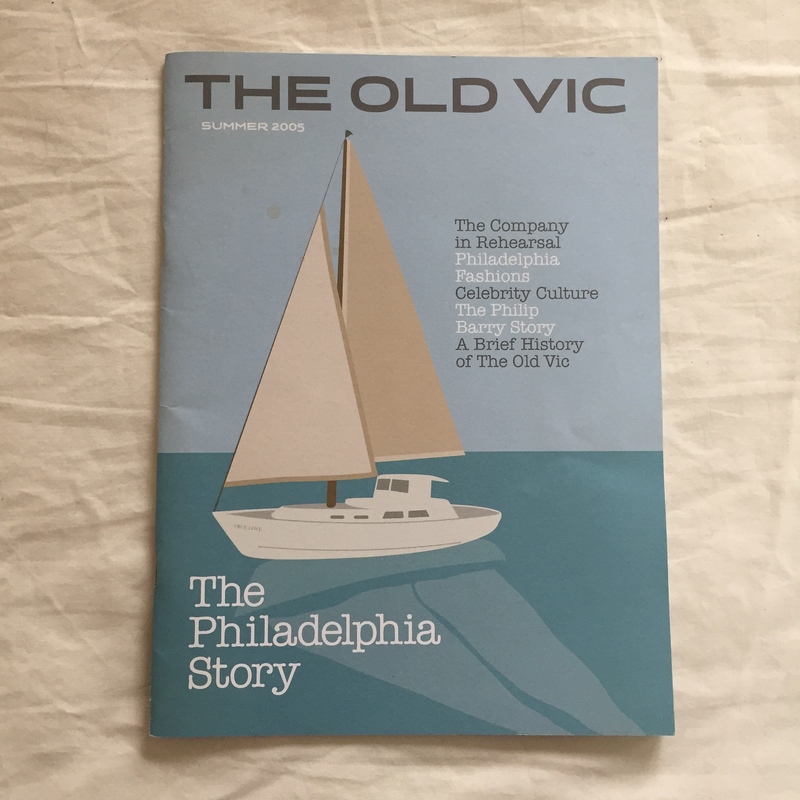 Fortunately, things perked up on my next visit to The Old Vic, to see The Philadelphia Story a few months later in 2005. Big cast, big sets, big scale, big laughs in a glossy production directed by Jerry Zaks, with elegant costumes by Tom Rand and detailed sets by John Lee Beatty. Jennifer Ehle had Katharine Hepburn’s intimidating shoes to fill as Tracy Lord, the Philadelphia heiress caught at an emotional crossroads on the eve of her second wedding. While she may have lacked Hepburn’s witty, waspish touch, Ehle conveyed Tracy’s softer, vulnerable side very well. Spacey played her divorced first husband CK Dexter Haven, with fast-talking debonair charm and the supporting cast were mostly great, with a very funny turn by Nicholas Le Prevost as boozy Uncle Willie*. Julia McKenzie and Oliver Cotton provided additional quality as the senior Lords. To close his tenure at The Old Vic, Spacey appeared in Clarence Darrow, a one-man play by David W Rintels, about the 20th century American lawyer, renowned for championing the underdog and the disadvantaged. Spacey has played Darrow before and it’s clear it’s a role he feels passionate about. The play presents us with Darrow in his chaotic office, relating the highs and lows of his legal career, the lives he saved and the battles he fought. Spacey and director, Thea Sharrock**, expertly balanced light and shade, skilfully contrasting Darrow’s cocky bonhomie with his deeply held beliefs in justice and the equal value of every person’s life, rich or poor, privileged or not. The role allowed Spacey to shine, holding the audience in the palm his hand (sometimes literally shaking them by the hand, treating them as jurors to be charmed and won over). 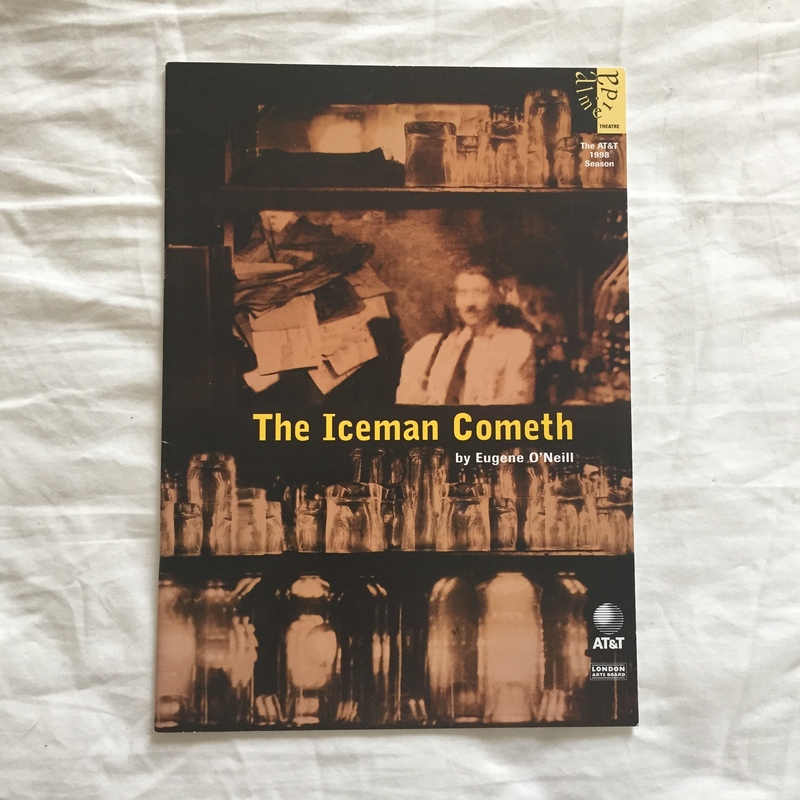 Proof, if any were needed, that the stage presence and charisma he showed in The Iceman Cometh nearly 20 years ago remains intense. The Old Vic’s reconfigured in the round auditorium provided a great setting for Spacey to prowl around. Designed with great attention to detail by Alan Macdonald, the cluttered office set included a cute nod to Spacey’s current television incarnation: Darrow’s typewriter was an ‘Underwood’ model. Spacey barely stood still for the entire performance and at the curtain call looked visibly tired and spent – understandable given the powerful, emotional performance he’d just delivered. The standing ovation he received was a well-deserved tribute, not only to this performance but also to his achievements at The Old Vic and beyond over the last ten years. Breaking news: Her Majesty the Queen (whom I have met – but that’s another story…) bestowed an honorary knighthood on Kev in her June 2015 Birthday Honours list. Arise, Sir Spacey! *I love Nicholas Le Prevost. Great voice. Great hair. Great actor.